REC Medical Corporation, of which I am owner, president and director, operates the Nagoya Eye Clinic (NIC) which was established in 2001. At first the clinic’s name was Refractive Eye Clinic, but we changed the name to NIC in 2006. It is located on the 3rd floor of a building near Kanayama Station. 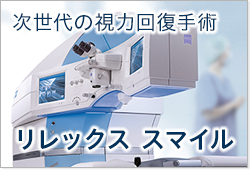 The specialty of NIC is refractive surgery and cataract surgery, and we also deal with general ophthalmology, e.g. dry eye. Almost all the patients come from the local area, but sometimes patients come from far areas, e.g. Tokyo, Kyoto, Yokohama, Nagano and so on. The regular holiday of NIC is Sunday and Thursday. The clinic is open from 9 AM to 6 PM. except Saturday. We do cataract or ICL operations on Wednesday and do LASIK operations every Friday, and sometimes we do LASIK on Saturday. I was born in 1961 in Nagoya. I graduated from Tokai Junior and High school in 1979, and Miyazaki Medical College in 1988. After graduation I started medical training at Chukyo Hospital in Nagoya. After I studied general clinical medicine, I majored in Ophthalmology in 1990. I work in the area of general ophthalmology, for example cataract surgery, glaucoma, diabetic retinopathy and corneal transplantation. I started refractive surgery in 1999. 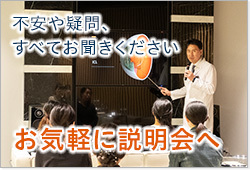 After that I opened a clinic, Refractive Eye Clinic, at Kanayama in 2001. Today I have done refractive surgery on about 19000 eyes and cataract surgery on over 30000. There are 5 doctors including me in NIC, 2 full time and 3 part time. 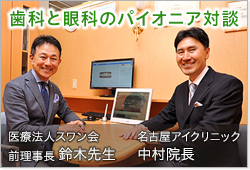 Full time doctors are Dr. Yoshida and me, and part time doctors are Dr. Kojima, Dr. Hasegawa and Dr. Mizuno. Everyone is a general ophthalmologist and specialists of refractive and cataract surgery, cornea transplantation, and dry eye. Dr. Yoko Yoshida is second-in-charge of NIC and she has done more than 3500 refractive surgeries. 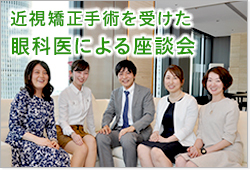 Dr. Kojima, Dr. Hasegawa and Dr. Mizuno are excellent young doctors who belong to the Chukyo Hospital. 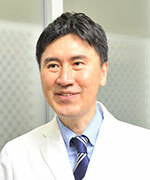 Dr. Kojima has studied abroad for two years at Harvard University in Boston USA, and came back in March 2007. 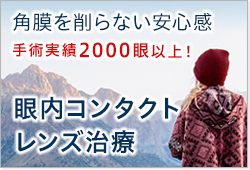 Now he has been doing medical research about dry eye syndrome in Keio University. He is a promising doctor and our clinic will increasingly develop in the field of medical research. There is one male nurse whose name is Mr. Yamada. He also has a license of medical examiner, so his roles in NIC are nursing, examination and programming the laser machine. And he will also get the certification of anti-aging coordinator with me. 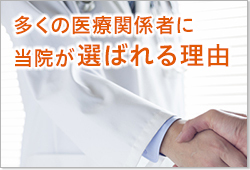 Doctors and staff can speak English, so we welcome patients who cannot speak Japanese. Our main concern is the pursuit of quality of vision for all ages. Refractive and cataract surgery are very good procedures in this pursuit, and we can do them at an excellent level. Now my main concern is the introduction of femutosecond laser. Using it, we can do high grade LASIK operations and do the new method of cornea transplantation. On the other hand I’m concerned about the quality of service. We aim to reach the level of hospitality of a 5 star hotel, and continue our efforts day by day, e.g. a questionnaire for the patient and taking part in a manner workshop conducted by a first-class instructor. Now our main clinical studies are on the estimation about the visual function after multifocal IOL operation and the measurement of ICL. What is of concern to us is the measurement of ICL using new equipment. We are always studying this and are aiming for a safer ICL operation. We offer medical care to the best of our capacity, with respect for our patients’ opinions and human dignity. We always provide the most advanced medicine for our patients’ comfort and satisfaction. We are forever striving to build good relationships based on trust as your vision partner.